Our goal as a Worship Ministry is to exalt the Lord our God in corporate worship, encouraging everyone in the congregation to participate. Psalm 34:3 says “Oh, magnify the LORD with me, and let us exalt His name together!” We want to magnify the Lord and exalt His name. We want to please Him in our corporate worship, and we want to do it together. So everything that we do as a ministry is done to try to accomplish those two things: 1) magnify the Lord 2) exalt His name together. “God is spirit, and those who worship him must worship in spirit and truth.” John 4:24. We want to worship in ways that please God, therefore our worship must be grounded in the truth of the Word. We want to know what God desires in our worship, therefore we must know the Word. We live to know the Lord more and more. A deeper understanding of His Word is the avenue by which we can know Him. We also look to His Holy Spirit to guide our hearts toward repentance, humility, and a greater surrender to God. We recognize that we can’t even have a relationship with God were it not for Jesus Christ’s life, death, and resurrection. So our worship will exalt Christ for who He is and what He has done. Corporate worship is a community effort. We want to do everything that we can to involve everyone in the congregation in worshiping the Lord. It’s not a “spectator sport”. We want to include everyone, so the choices that we make are in an effort to make it easy for everyone in our congregation to worship the Lord free from distraction. The Worship Ministry consists of several teams of volunteers that work toward a common goal of facilitating regular worship services. Our teams include bands, choir, technical teams, and video teams. 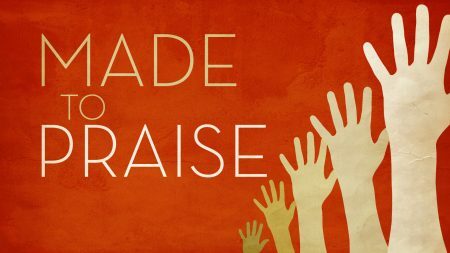 Bands – musicians that serve on a rotation in our Sunday morning and evening services. Responsibilities include Wednesday night rehearsals on the week that they serve. Audition process and interviews are required for band and vocalist positions. Interview and training are required for technical positions. No audition is required to participate in choir. For more information, contact Steven Sivley, Worship Pastor.